Today is another day I have been looking forward to. 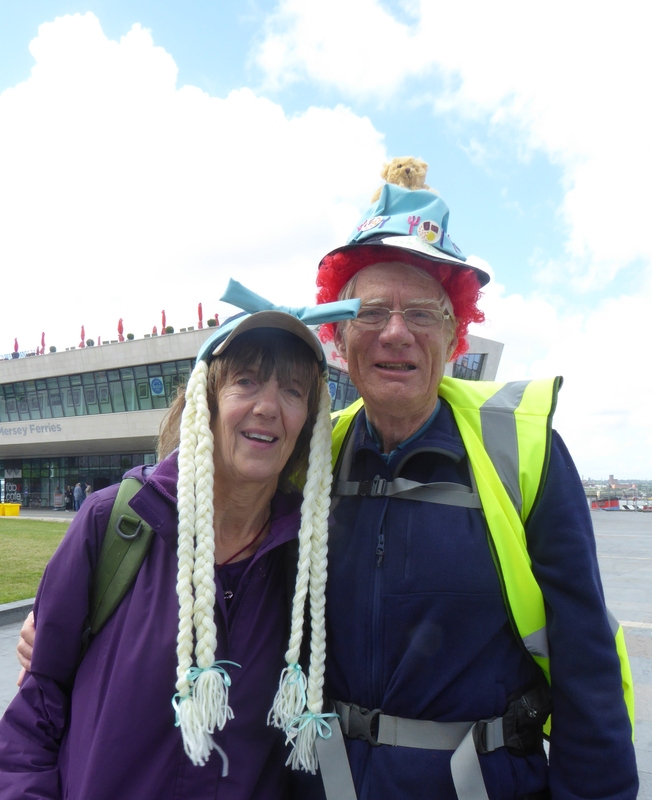 I have agreed to raise the profile of one of the charities I am raising money for, CarersTrust4all by wearing a number of silly hats on my walk today. The charity is based in Cheshire and Merseyside and part of the CarersTrust network. This is me with my wife Christine leaving the Pierhead in Liverpool. The walk is shorter today, so that people can join me and we will end up at Crosby for a picnic.